It's getting hot in here. 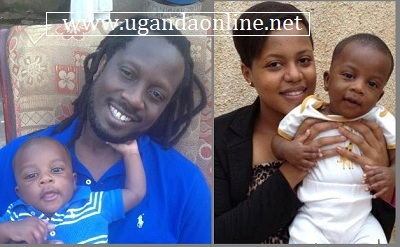 The 'Owa Boda' star and former model Zuena Cool also the mother to Bebe Cool's three kidz is advertising a 4-bed roomed house in Kigoowa for rent shortly after Chameleone unveiled Daniella Villas that go for Shs1.2m per month in Bweyogerere. Zuena says that she's finalizing with the painting and the house will be ready in a months time. She concludes by saying 'Ndisa Butti Sipapa' similar to slow but sure. Appearing on WBS Tv Monday Night Live show, Bebe said that he could have completed his house had it not been the Shs90m that he has sunk in his various charity activities. Chances are the 4-bed roomed talk has been sparked by Daniella Villas which Chameleone constructed for his wife, Daniella. Zuena has now brought out the Kigoowa house as a way of containing the Villas. Recently Zuena told her fans that: "Ladies & gentlemen with all due respect plz stop comparing me with other musicians wives, we're very different in terms of background, age, tribe, sense of fashion, likes and dislikes..the only thing we have in common is being married to a musician yes MARRIED. thank you in advance"
Zuena is now showing how different she is from the other musicians' wives.